Bessie Wilma Newman left this world to be with the Lord and her family on November 14, 2018. She was born February 5, 1936 to Evert Byrd Calhoun Sr. and Manervia Abigail Jackson Calhoun in the Brent community of Sequoyah County, Sallisaw, Oklahoma. Wilma proudly served in the U.S. Air Force. She was a member of Electa Chapter, Order of the Eastern Stars and a member of Faith Assembly of God in Sallisaw, Oklahoma. She enjoyed cooking, knitting, and crocheting for people. She was VERY competitive when playing cards. She was like a second mother to many people, always there to listen to their problems and give support and guidance. She devoted her life to God, her husband and her children. She loved, and was loved by, everyone she met. 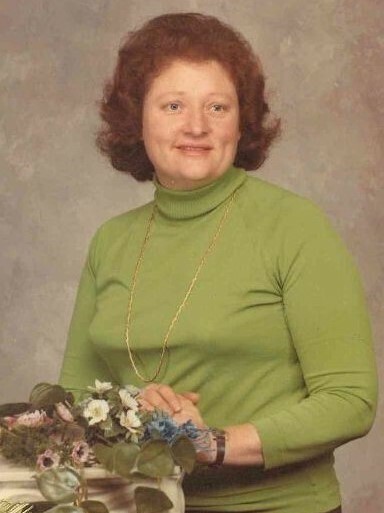 Wilma was the cherished mother of Cindy and Chuck Oliver of Sallisaw, Russell Newman of Sallisaw, Nikki Newman of Sallisaw, Dana and Doug Watson of Athens, Tennessee. Granny to 11 grandchildren and 19 great grandchildren. She is also survived by her sister, Eula Choate of Marble City, Oklahoma, brother and sister-in-law Ralph and Diane Calhoun of Shirley, Arkansas, and a host of nieces and nephews, cousins, church family and friends. Wilma was preceded in death by her parents; beloved husband, Richard Wayne Newman; sons, Michael Scott Calhoun and Joey Mitchell Newman; grandson, Caleb Hyatt; brothers, Joe Holbert, Red, Sonny, and Jay Warren; sister, Dorothy Scott. A special thanks to the Hospice staff, Laura and Lacee, for their kindness and help through our mother's illness. Visitation will be Saturday, November 17, 2018 from 1-5 pm and Sunday November 18, 2018 from 4-7 pm at Sequoyah Memorial Chapel in Forever Memories Funeral Services, 463505 Hwy 101, Sallisaw, OK.
Services will be Monday, November 19, 2018 at Faith Assembly of God Church in Sallisaw at 10am. Burial will follow in the Sallisaw Cemetery, Sallisaw, OK. Brother Monroe Lowrimore and Brother Bob Overton will be officiating with Dan Ollie, Jimmy Dale Rogers, Clint Newman, Matthew Newman, Michael Oliver and Richard Jasna serving as pall bearers. The family of Mrs. Newman has entrusted Forever Memories Funeral Services, Inc. with the funeral arrangements. My dearest “Aunt” Wilma. You were the sweetest most loving aunt and person in the world. You made us all feel like we were your favorite even when we weren’t even yours. You were loved more than you know by all who knew you. Our world will not be the same without you in it. I love you and will miss you. God bless you all and know I love you all. Granny was the most kind, compassionate and selfless person I have ever had the privilege of knowing . She had a heart of gold. Hunter and I loved her dearly. She will greatly missed! My condolence's Russell. Your mother was the sweetest lady.